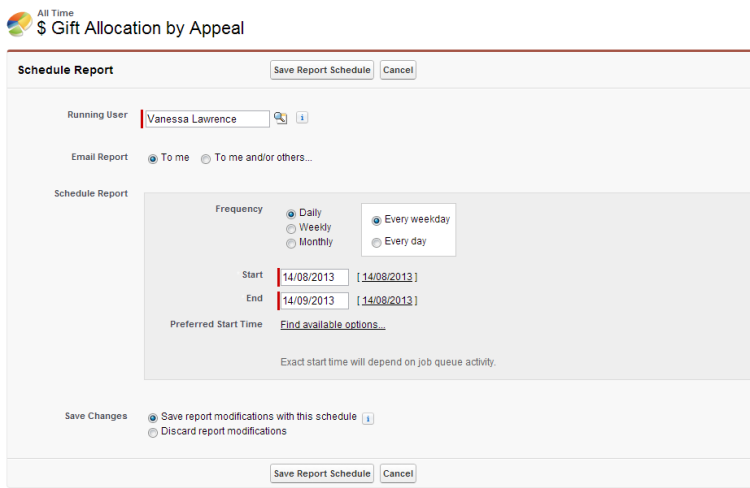 Any report saved in Causeview can be scheduled to automatically run on a regular basis, with an emailed copy of the results sent to one or more Causeview users. 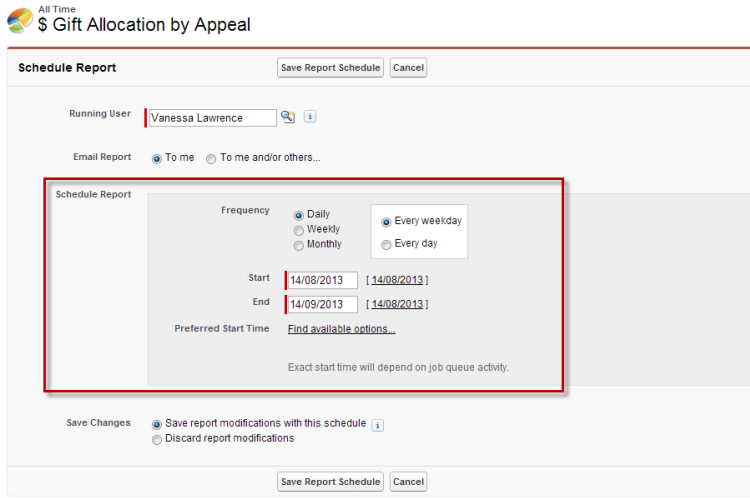 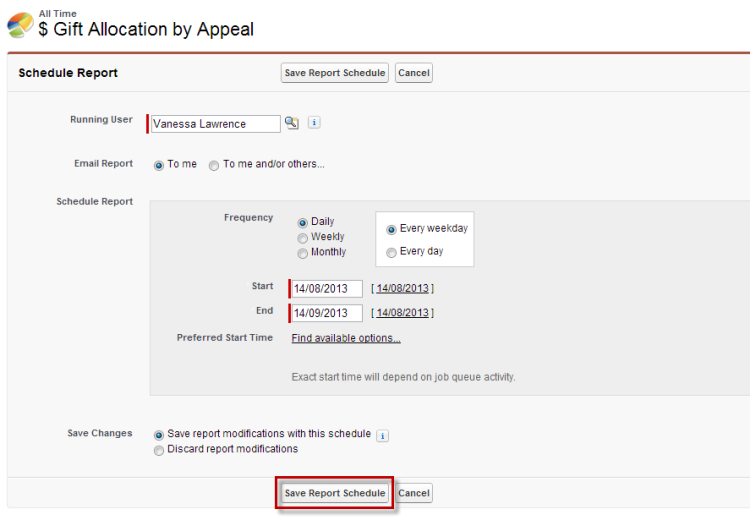 In order to set a report schedule, the report must first exist in Causeview. 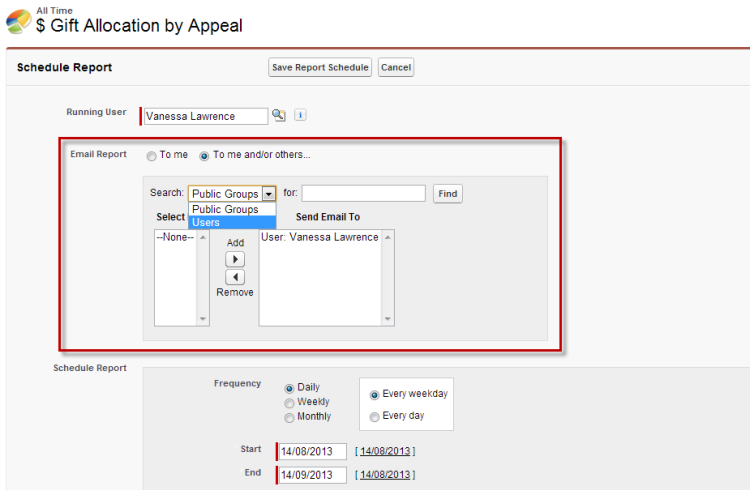 If the report is an existing template report, simply open the folder and report. 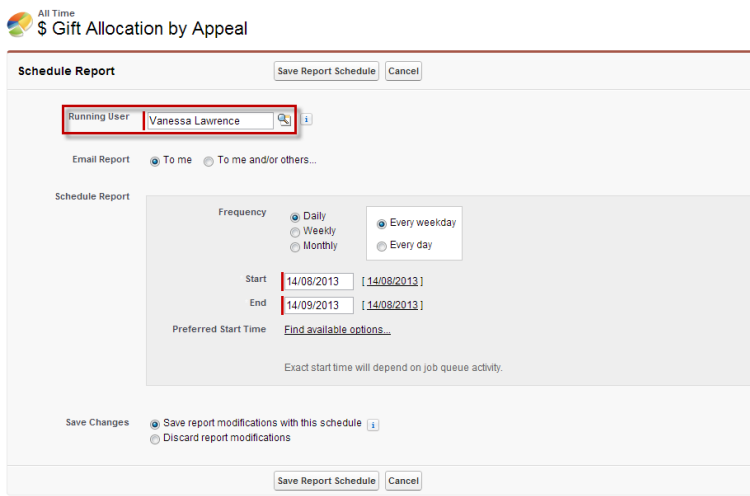 If the report does not exist in Causeview you can customize an existing template or create a new custom report.